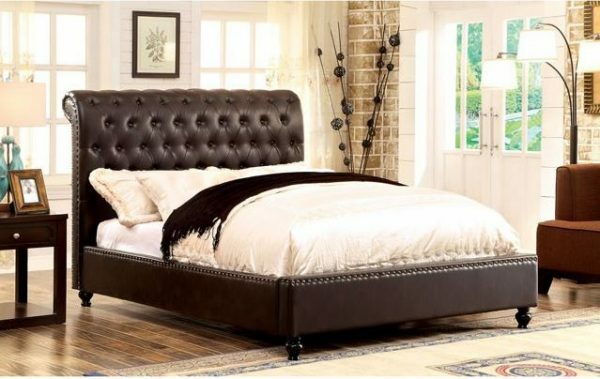 Put a twist on the classic sleigh bed with this curvy and elegantly designed bed. The stylish tufting and nailhead trim enhance the sleek rolled leatherette or fabric. Button tufting along the headboard and footboard creates an attractive appeal while you cozy up in this exquisite bed. Available in brown leatherette or white fabric.